For decades, technology developed for military use has trickled down to consumer devices. But in a radical shift, that trend is being reversed, with the technology developed for consumers making its way into today’s military technology. Highlighting this shift, some Marines will this year begin using off-the-shelf Samsung tablets to making calling for fire support easier and more accurate. As part of an upgrade to the Marines’ current Target Handoff System (THS), the soldiers will be given Samsung Galaxy Tab S2 tablets in a ruggedized Juggernaut Case. The tablets will be loaded with key elements of the system. The key benefits of switching to the compact tablets include reducing the cost of deploying the system and cutting the system’s weight in half, from 20 pounds to just 10 pounds. The new system will combine a laser range finder, video down-link receiver and a combat net radio in conjunction with the Galaxy tablet in order to provide a lightweight and flexible solution for dismounted Marines. By using commercial off-the-shelf hardware, the military can avoid the high costs of investing in proprietary hardware, which takes a lot of time and money to develop, so it can now be deployed much faster. 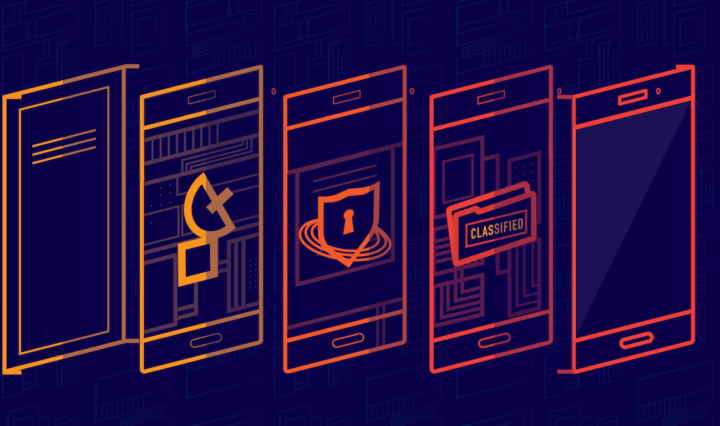 By complying with DoD standards, Samsung Knox is able to deliver a secure military-grade phone. Thanks to the advent of mobile technology, as well as the development of autonomous cars, drones and robotics for the consumer market, we’re beginning to see these solutions trickle into use in military technology — something that has not happened previously. The latest smartphones contain a wide array of sensors — such as GPS, infrared and vision — which are used by consumers for taking pictures, unlocking their phone and getting directions to their destination, but as evidenced by the new THS, these features can also be used in military operations to great effect. The new THS configuration allows Marines to determine a target’s location using embedded GPS technology and then digitally transmit the data to supporting arms elements. The new system removes the need for manual output by automatically generating coordinates for targets supplied by a Marine, and then digitizing the data into a map on the smartphone. The digital data is then transferred to the Fire Support Coordination Center, where they determine the proper approach of attack. Another area where advances in consumer technology will be increasingly applied to military operations in the future is artificial intelligence. Consumer-focused companies are currently leading the way with developments in AI and machine learning. However, the benefits of taking decisions out of the hands of humans and into the hands of machines — especially in pressurized military situations — will help move such changes forward. Learn how Samsung Knox can provide your organization with military-grade security without sacrificing productivity.